With STAGING AGES generation gap, norms and taboos, dignity, expectations and prejudices is dissected. In cooperation with five dancers in the age of 10 – 66 years, presenting a parade of meetings, memories and future projections where we get to know the dancers throught their personal experience of age and time. In the performance we move between the playfull, childlike and innocent to the secretive and provocating, where the meeting between generations and how we see ourself in the public and the private is in the center. The dancers is exchanging roles and performs as extras and main characters in each others performances. 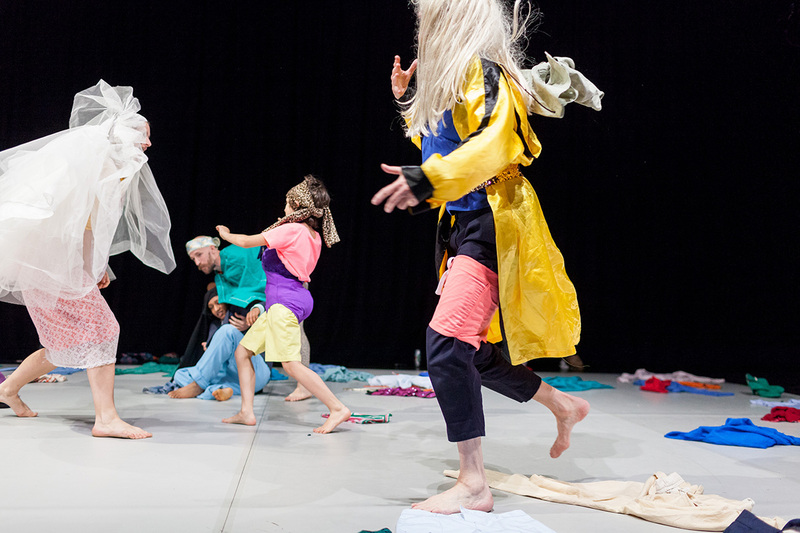 H2DANCE is made of the award-winning choregraph/performer-duo Heidi Rustgaard(NO) and Hanna Gillgren (SE). They have worked together since 1999 as choreographs and performers in their own productions, and they cooperate with professional performers as well as amateur groups. CO-PRODUCTIONS: Riksteatern Värmland Sverige, DansiT – Senter for dansekunst i Sør-Trøndelag, The Place, Dance East og Pavilion Dance Storbritannia.